There is an unassuming cafe in the lobby of a Sydney office building. It’s at 33 Herbert street, St Leonards, if you are ever in the neighbourhood. The place is called Phoodle. Almost every lunch hour the little place is packed with people. It’s because their pho is the best in the business. Topped with slivers of beef and crunchy bean sprouts, the broth comes out piping hot and packed full of flavour. 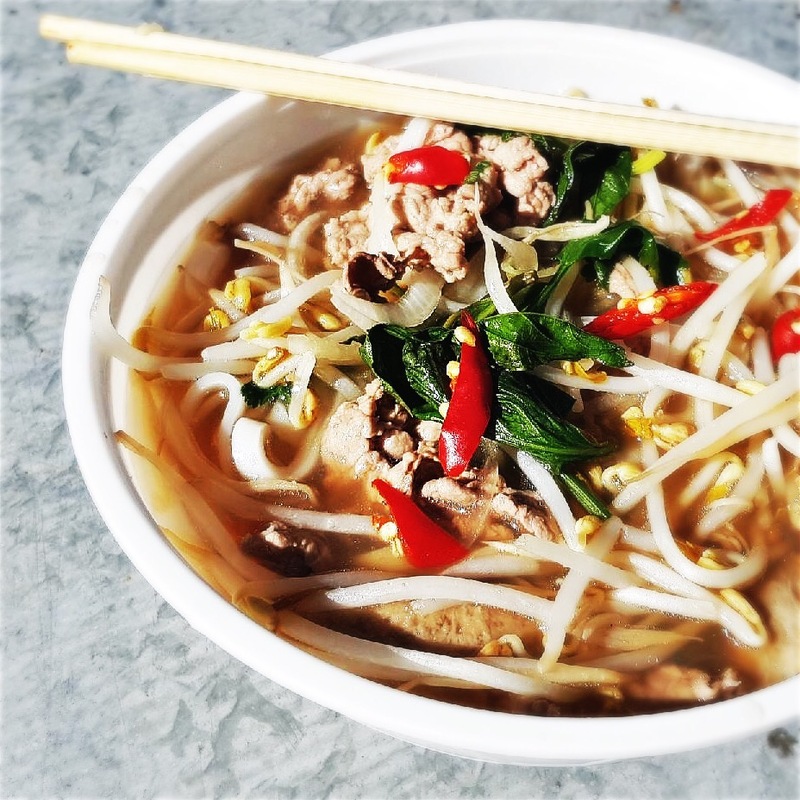 It’s a little piece of Vietnamese heaven as you slurp the rice noodles down. The place is run by a mother and son team, Queenie and Allan Thai. They opened the little cafe in 2013 and people began flocking to the place shortly after it was discovered by the Sydney Morning Herald. Within three short years they were able to open a restaurant in Kingsford. Now they have roped in dad, Tony, to help out. The recipes are thirty years old and have been passed down from Allan’s grandmother. She sold fish sauce to restaurants back in Vietnam. When she arrived in Australia she worked as a kitchenhand and began developing recipes of her own, which she later taught to her family. Allan studied accounting and was initially reluctant to enter the hospitality industry. But at grandma’s insistence, he and his mother made a small start four years ago at Herbert Street. They haven’t looked back since. Allan tells me the Kingsford restaurant is now running at capacity and they will need to seriously think about expanding. Who knew, all those years ago, a woman with a fish sauce business in Vietnam – and her hard work as a kitchenhand in Australia – would not only give her family a future, but joy to so many Sydneysiders. Come. Try their pho. It’s $12, and it’s delicious.